I had a chance to join a few other photographers on a back-alley visit to some run-down landmarks in Detroit a couple of days ago, and the experience was both adventurous and nostalgic. There is a certain sad aura that surrounds these historical sites when you think about the faded glory of the past. The Eastown Theater is a wreck now with roofs and floors collapsed. 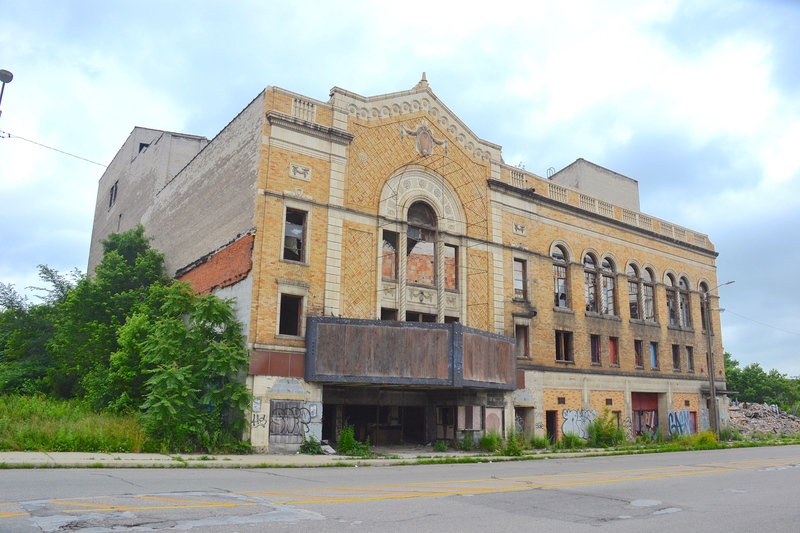 Eastown Theater was opened in 1930 as a fancy movie theater seating about 2,400 people. Much later, it became the premier rock venue for bands like Alice Cooper, the Doors, Pink Floyd, Jefferson Airplane, Bob Seger, Jethro Tull and the Grateful Dead among others, mostly from 1969 to 1973. The scrappers have been busy in the building since it closed for the last time in the late 1990’s. The roof and some of the floors have collapsed after a fire in 2010. 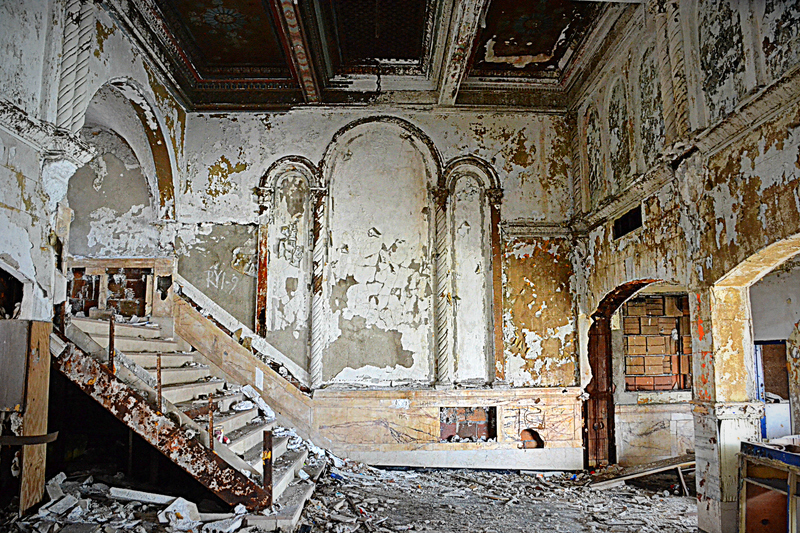 The inner lobby and stairway entertain ghosts of the past. St. Margaret Mary Catholic Church was founded in 1920 in a new frame building and grew quickly with the immigration of auto workers from Europe so that a larger brick sanctuary was constructed and opened in 1930. A school and rectory were soon built next door. But times changed and so did the neighborhood. The Baptists bought it in 1984 but it proved to be too much responsibility for their smaller congregation. 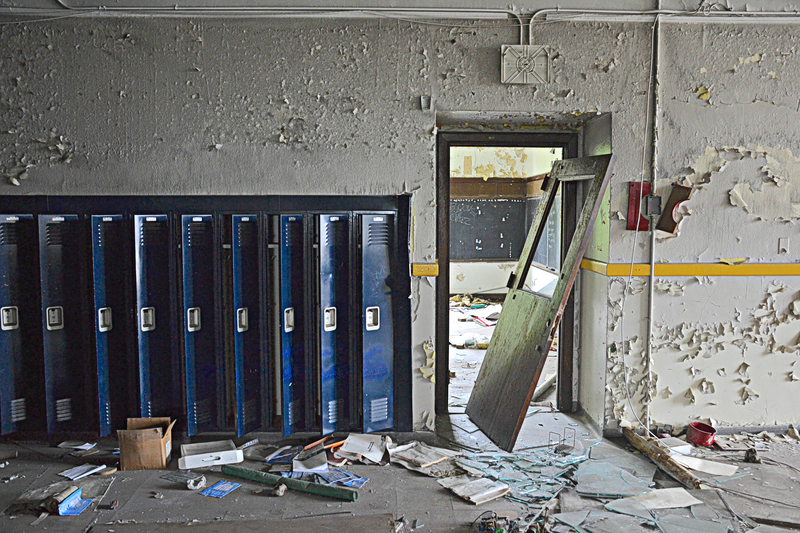 It closed in 2012 and the vandals broke in and trashed the place. The splendor of the past is still visible on the brick facade of the St. Margaret Mary Catholic Church. 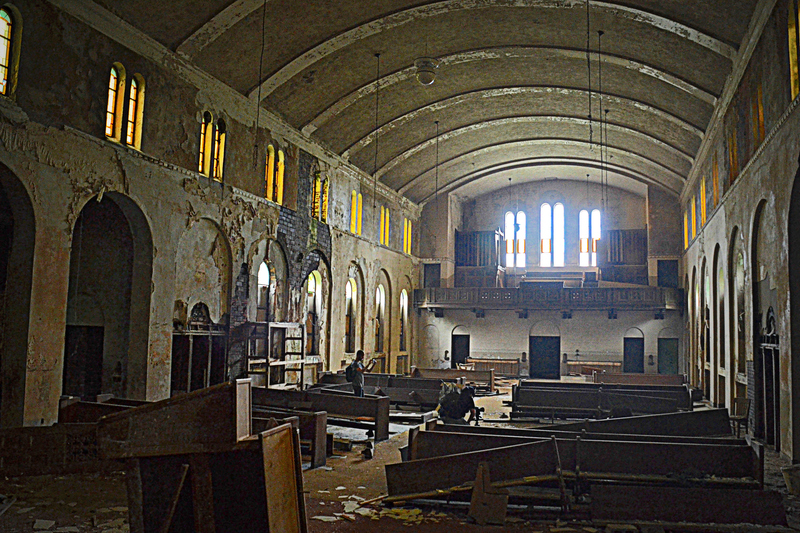 The old sanctuary had seating for about 400 parishioners. 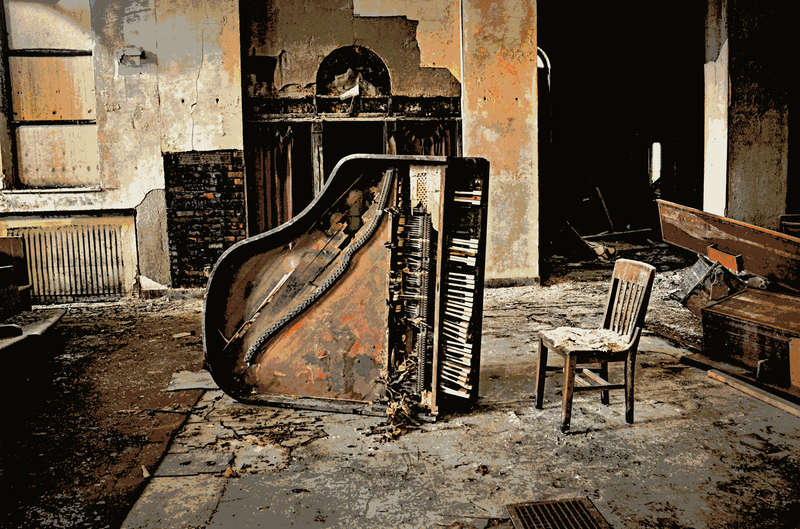 The metal strings are missing from the not-so-grand piano, having been salvaged by scrappers. 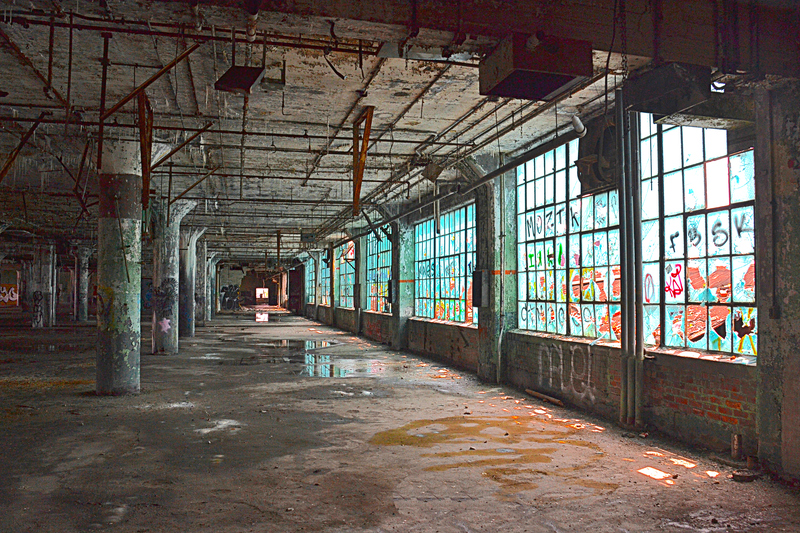 Fisher Body Plant #21 was built quickly in 1919 to meet the growing demands of the automotive industry. It supplied car bodies until 1984. It is a massive site with six floors of space and endless surfaces to delight the graffiti artists. The architect of the Fisher Body Plant installed blue glass windows to enhance the mood of the workers. 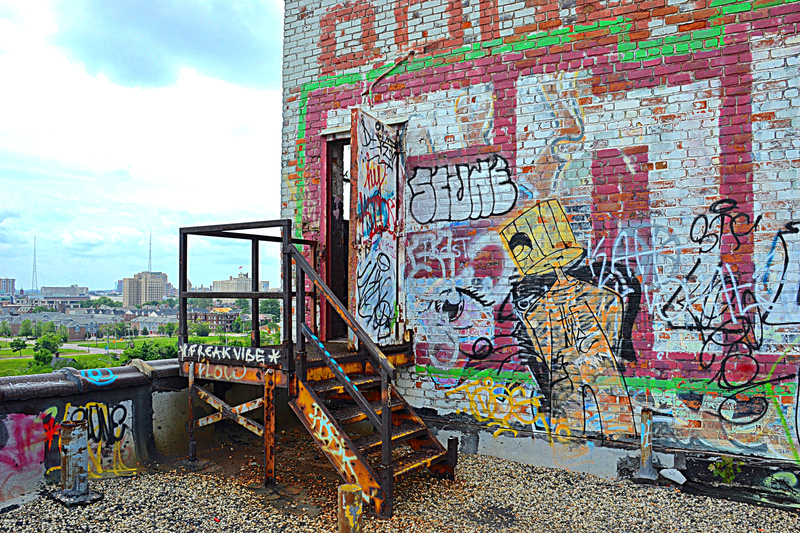 Graffiti artists have left large and intricate murals on the walls of the rooftop access room. There is a new sort of production happening now at this abandoned factory, and it’s mostly artistic in nature. Southwestern High School was one of the first schools built specifically as a high school. At the time of its construction in 1916 Michigan students were not required to attend school past the eight grade. Its swimming pool, gymnasium, and auditorium made it the pattern for other high schools to be built across the state in the years following. 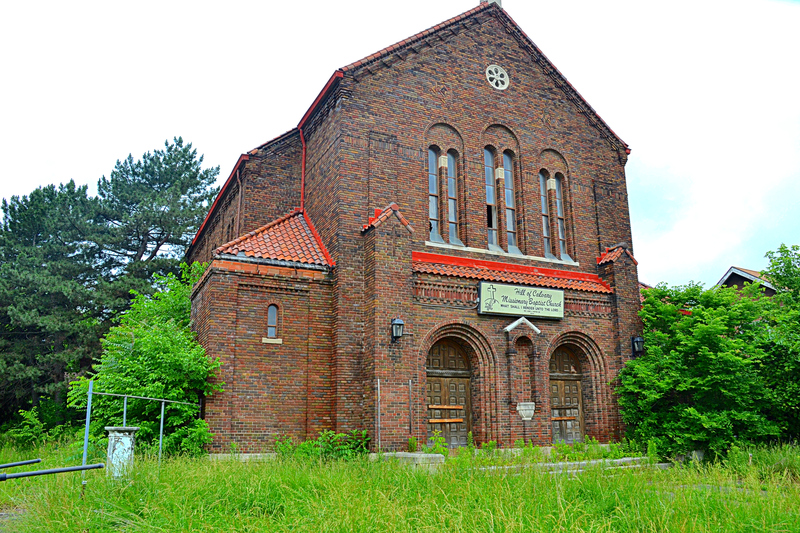 It had many upgrades and additions over the decades and was remodeled just a few years ago at a cost of millions of dollars, then it closed when declining enrollments precipitated a downsizing in Detroit. 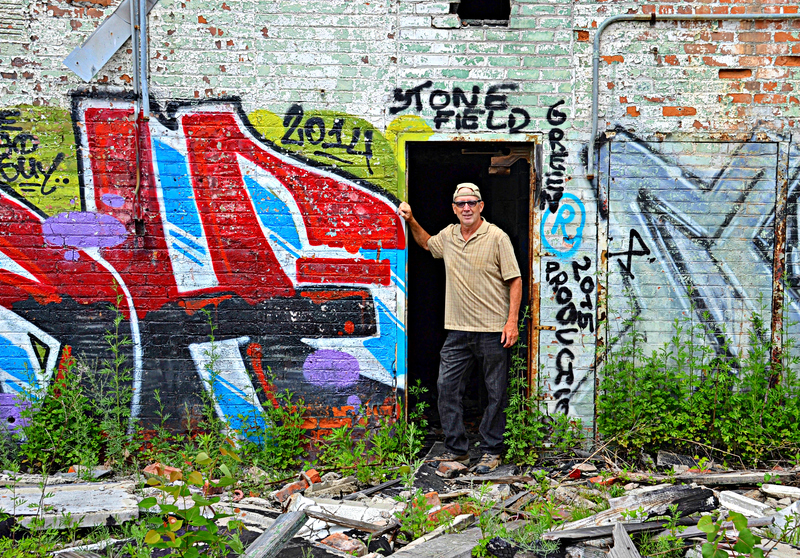 The scrappers and vandals were not long delayed and made a mess of the once-famous landmark. The devastation at Southwestern High has been swift and widespread. 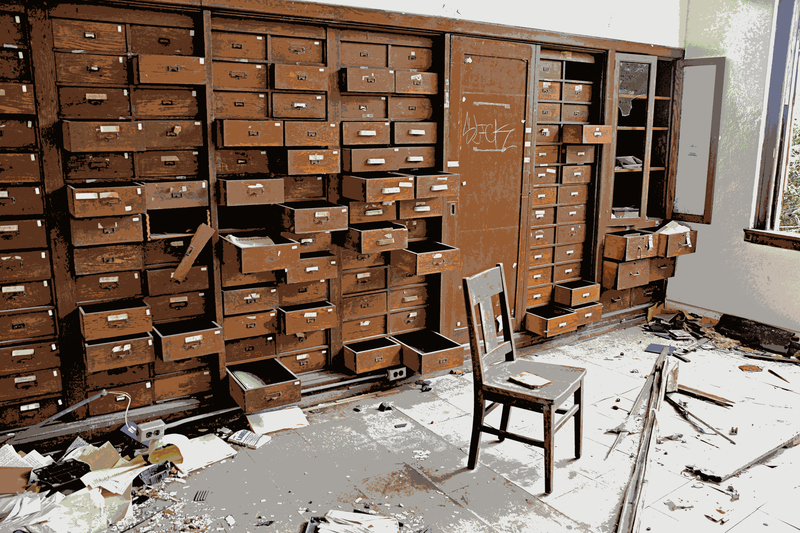 A hundred drawers leave clues to the past educational program.